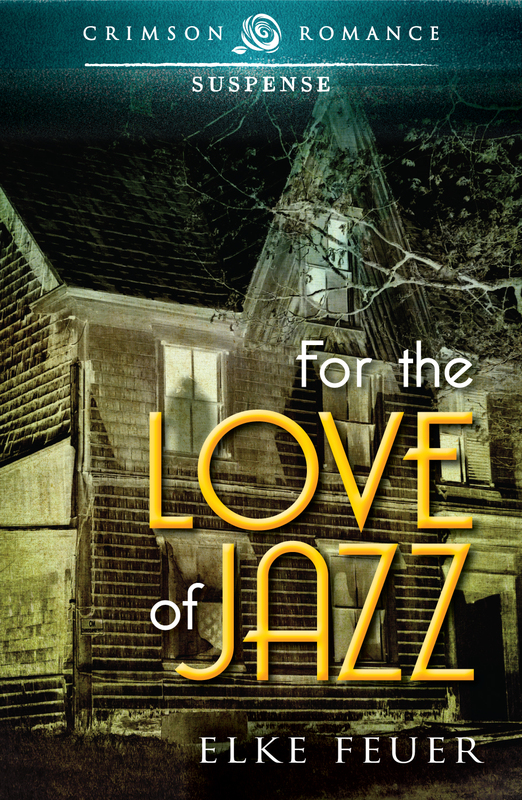 I’m very excited to reveal Elke Feuer’s book cover of FOR THE LOVE OF JAZZ! Restoration architect Josie Fagan takes on a project with lawyer and senator’s son, Patrick Pullman. It’s the perfect match. She needs his endorsement to save her business and he wants to restore his ancestral Chicago home. Love wasn’t part of her plan. Neither was being asked to stay at his home, haunted by ghosts, or discovering she has a claim to his home – which she adores. When she finds out his family may be responsible for her aunt’s disappearance fifty years ago, it’s a race to unearth the truth before she loses not only her business and her heart, but her life. Patrick can’t deny his attraction to Josie and is willing to take a chance on love since his broken engagement a year earlier. Things become complicated when he learns of their family connection and her claim to the home he loves. He doesn’t believe in ghosts, or that his family is involved in her aunt’s disappearance, so insists they work together. But, when he starts seeing his uncle’s ghost, and threats are made on her life, he’s forced to confront the possibility his family could be responsible. The ghosts of their aunt and uncle forge a connection through them, but is what they feel love or just the ghosts living out their unfinished lives? Elke was born and raised on Grand Cayman where she lives with her husband and two wonderful kids. To her surprise, she enjoys writing romantic suspense, and even more surprising, writing about serial killers. She also writes historical, time travel and contemporary stories to even out her dark side. Elke’s joy is reading, spending time with my family, traveling, and meeting people. Writing is her passion. She doesn’t have pets, but adores puppies and fluffy kittens, but doesn’t everyone? **The FOR LOVE OF JAZZ release date is December 24th! Love the cover! The house looks warm and not at all scary, but the glow around “Crimson Romance Suspense” gives it a sort of other-worldly feel. And the blurb is great too. Sounds like a terrific read!! OMG, Elke – congratulations! So happy I popped over at this moment. It’s so exciting to see your story turned into a real live book. 🙂 Love you, ladies! Thanks, Nikki. It’s VERY exciting! GREAT COVER. Love the shadow figure in the window. ; ) So excited for you.